I think I might be pregnant – this wasn’t planned – how can I be sure? If you haven’t yet had a pregnancy test, we can do one for you at no charge. As we are not a medical centre, the result of the test would need to be confirmed with doctor. If you are definitely pregnant, you now need to consider your future and what is right for you. We can help you look at each option available: parenting, abortion or adoption. My daughter is pregnant – how can I help her to make the right decision for her? You may both be in shock and need the support of someone outside your situation. It may be helpful for her to talk to someone other than yourself to help her make the right decision for herself. I’m not sure I want to be pregnant. As well as choosing to become a parent, the other options available to you are – to have an abortion or to consider continuing with the pregnancy and have the baby adopted. If you are definitely pregnant, you now need to consider your future and what is right for you. We can help you look at each of these options. Understanding more about adoption will help you decide if this is right for you. Our advisors can help you look at what is involved and support you through each stage if this is what you choose. Can my partner prevent me from going through with my choice – I know so little about this! By law, the decision is yours alone. It is a good idea to discuss your choice with your partner. We can talk with you both as a couple, or each of you on your own if you prefer. I am being pressurised to make decisions – what are my choices? It’s not good to make decisions when you are under pressure. We can provide a safe place for you to consider all your options without these demands from others. We would encourage you to talk to one of our advisors in the office or over the phone to help you make the right choice for you. It is your choice alone whether you continue your pregnancy or go for abortion or adoption. Can you refer me to a medical centre if I decide to go ahead with a termination? 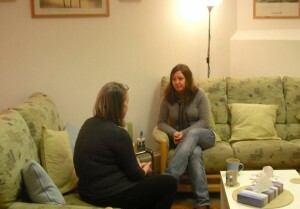 We offer a safe place to talk, to explore your feelings and to consider all your options. We do not provide referrals for any medical treatments, including terminations. My daughter had an abortion, and I supported her – now we find it difficult to talk – what help can you give? We can offer you time to talk through your experience and your thoughts, working towards relieving any negative feelings that you may be experiencing yourself. As you get the help that you need, you will be in a better place to communicate with your daughter. I suffered a miscarriage 25 years ago, and recently I find that I cannot stop thinking about that baby – is this normal? You may not have grieved adequately for your baby at the time of your miscarriage. Also, others may not have acknowledged your loss as it was seen as ‘normal’. The fact that many years have passed does not decrease the significance of your loss. Feel free to contact us at any time. If I were to meet an advisor, where would that be? When can we meet up? Our offices are located in the centre of Glasgow, opposite Glasgow Central Station. Most appointments can be made at times that are convenient to you and the adviser assigned to you. What happens about an emergency over a holiday weekend, for example? Unfortunately we cannot meet you in our office on weekends nor on public holidays as the building we are in is not open. But we will access your call/email and be in touch with you and arrange to speak to you in person and arrange a meeting as soon as possible.